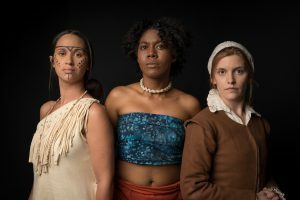 This special yearlong exhibition explores captivating and little-known personal stories of women in Jamestown and the Virginia colony and their tenacious spirit and impact on a fledgling society. Discover the struggles that women faced in the New World and their contributions, from the arrival of the first English women in Virginia in 1608 and the Powhatan Indian women they encountered to the arrival of the first documented African woman in Virginia in 1619 and the influx of English women to the colony. From women’s roles to women’s rights, connect issues of the 17th century and their relevance today. Along with the Jamestown-Yorktown Foundation’s collection of 17th-century objects, the special exhibition will feature more than 60 artifacts on loan from 22 international and national institutions, including the Victorian Albert Museum, Museum of London, Master and Fellows of Magdalene College Cambridge, Shakespeare Birthplace Trust, National Archives, Museum of Early Southern Decorative Arts and the Virginia Department of Historic Resources. A series of special programs, from public lectures to performances, will complement the special exhibition.